Issues on climate change induced by global warming have raised a worldwide attention. The situations of the world’s great destruction for the days after tomorrow have become closer and closer. “The Earth Observations Plans” sponsored by the United Nations are well under way around the world. Integrating the academics and intellectuals and monitoring the Earth’s environmental information are of importance for reducing or adapting possible derivative disasters due to climate change. We, as being a member of the Earth Village, should take this as our responsibility and never stay out. In response to the 2002 World Summit on sustainable development, a formal organization, Group on Earth Observations (GEO) of the United Nations was initiated; meanwhile, the 10-year Implementation Plan of the Global Earth Observation System of Systems (GEOSS) was subsequently promoted by the organization. The purpose of the Plan is to ensure comprehensive and sustained Earth observations by summarizing the essential steps to be undertaken by global communities. 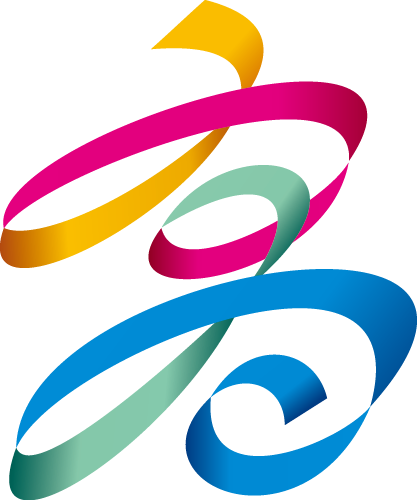 In accordance with the international plan, the Taiwan Group on Earth Observations (TGEO) was established in 2010. In 2011, with the assistance of National Taiwan Ocean University, the 1st International Conference on Earth Observations and Societal Impacts (ICEO&SI) was initiated. Later, the 2nd ,3rd and 4th ICEO&SI were held in 2012, 2013 and 2014, cooperated with National Taiwan University, National Cheng Kung University and National United University, respectively. 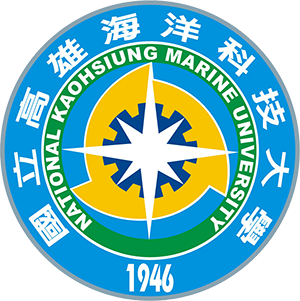 Continuously, the 5th ICEO&SI and ICLEI(Local Governments for Sustainability) Resilience Forum will be convened at National Kaohsiung Marine University during June 28nd ~30th, 2015. The theme of the conference is set primarily on the initiation of solicitude for Earth Observations and Societal Impacts by high-tech communities at different levels . "Earth Observations" involve very close investigations and measurements on the Earth, including the observations conducted for the above and the beneath of the water and the ground surfaces, the air and the water qualities, the atmospheric conditions, and the environmental healthiness for human, plants and animals. Results derived from direct or indirect observations and measurements are the information used to construct the supporting policies for the environments. The ICEO&SI and ICLEI Resilience Forum 2015 will cover 10 contemporary global issues: Disasters, Health, Energy, Climate, Water, Weather, Ecosystems, Agriculture, Biodiversity and related Policy. Scope of the conference is based on the objectives of GEOSS, and will focus on the better understanding of: self protection on either natural or human induced disasters, realization on the environmental elements endangering the public health, efficient management on energy resources, proper responses to climate change and its impacts, adequate conservation on water resources, possible improvement on weather forecast, conservative management on ecosystems, sustainable development on agriculture, and effective protection on biodiversity. Furthermore, the improvement or upgrading on technologies of related industries, such as the surveillance instrumentations, the management systems, or the conservation policies, will be discussed in the I ICEO&SI and ICLEI Resilience Forum 2015. Public involvements from all over the world are highly expected. We believe with the integration of the contribution from all countries and the global observatory resources the improvement on human health and the enhancement of disaster prevention will all enhance sustainable development of the Earth. The conference objectives are set forth to understand and to concern about the following issues, but not limited. 1. Disasters: Reducing the loss of lives and properties from either natural or human-induced disasters by enhanced preparation policies and early warning systems. 2. Health: Assessing how environmental elements affect human health. 3. Energy: Improving the management of energy policies as well as the development of renewable energy and sustainable resources. 4. Climate: To monitor, understand, and assess various factors for climate variability as well as to assist in making efficient policies of climate change adaptation. 5. Water: Investigating the influence of water resources distribution and variability of hydrological cycle on the world’s sustainable development. 6. Weather: Integrating weather observation database and projection models to enhance the application of weather informatics in various research fields. 7. Ecosystems: Establishing an integrated monitoring framework of land, coast, and marine to benefit the environment and societal development. 8. Agriculture/Forestry/Fishery: Using the earth observations to achieve the effective management and sustainability in agriculture, forestry and fishery. 9. Biodiversity: Improving measuring and analysis techniques of biodiversity for protection, reproduction and balance of global bio-resources. 10. Industry and Policy: Providing Earth observation-related products, business models, and a platform for information exchange to increase mutual benefits of industry, academics, and government.